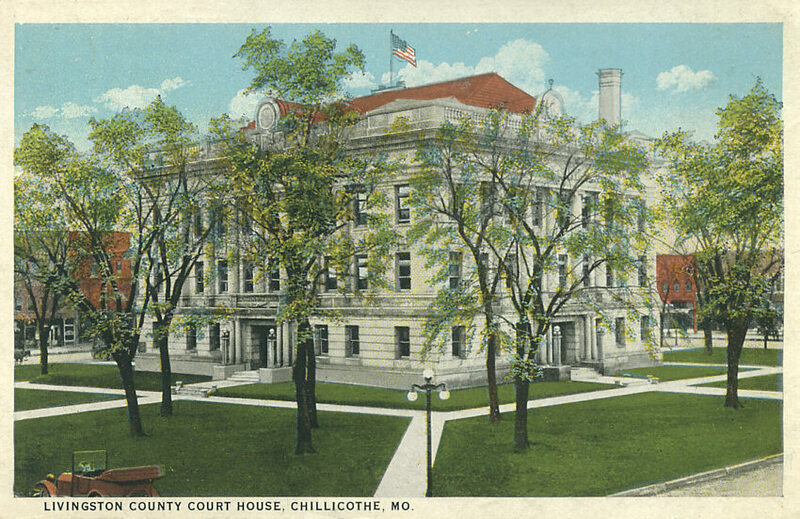 In Civil War days, a red brick courthouse was constructed on the public square in Chillicothe by contractor Moses Burton. The contract did not specifically call for windows, so the finished building had no windows. The building was torn down about 1865. After 1865, the square was known as Elm Park. Located in the heart of the city, this public park offered a shady retreat for summertime shoppers. It was also the site of concerts and civic events. 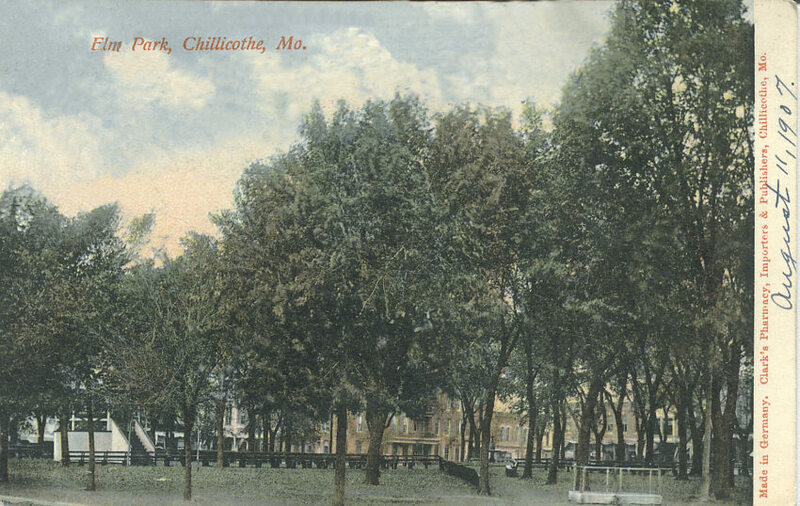 Some of the trees were removed when construction of the current courthouse began in 1913. In recent years, all the remaining trees were removed to provide paved parking spaces for courthouse tenants and visitors.